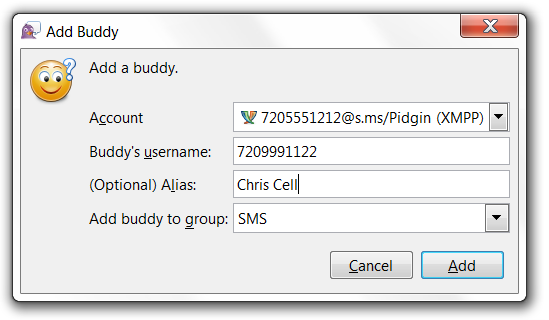 Under 'Buddy's username:' type the person's cell phone number that you wish to message. Under '(Optional) Alias:' put the name of the person. Then click 'Add' at the bottom of the page. That's it! Now you can you talk to others with SMS capability.